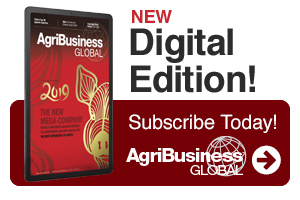 Editor’s note: This story first appeared in AgriBusiness Global’s January/February print magazine. We now also distribute the magazine digitally for added circulation and convenience. Preview the digital edition here. Event organizer Ma Chunyan, Vice President of the CCPIT Sub-Council of Chemistry Industry, previews the 20th annual China International Agrochemical and Crop Protection Exhibition (CAC2019), which will occur 5-7 March at the Shanghai New International Exhibition Centre (SNIEC). How will this show compare with last year in terms of attendees and exhibitors? CAC2019 will expand its space, covering nine full halls from N1 to N8 and E7, with more than 80,000 square meters. More than 1,400 companies will exhibit, representing 30 countries and regions, including Australia, Belgium, Brazil, Canada, China, France, Germany, Greece, Netherlands, India, Italy, Korea, Pakistan, South Africa, Spain, Switzerland, Thailand, United States, United Kingdom, and Vietnam. CAC2019 will have more international exhibitors, with large spaces and country pavilions from India and Korea. CAC2019 expects to attract more than 38,000 visitors from more than 120 countries and regions, with a number of buyer delegations from Bangladesh, India, Pakistan, Thailand, Ukraine, and Vietnam. A specialized product zone is planned, based on exhibit profile, including a pesticides zone, biopesticide and bio-control technology zone, fertilizer zone, agrochemical and crop protection equipment zone, overseas pavilion seed zone, agri-aviation zone, and irrigation zone. What is the highlight of this year’s conference and what can you tell us about the speakers? Professional development and sharing of global CROs and CRAOs. 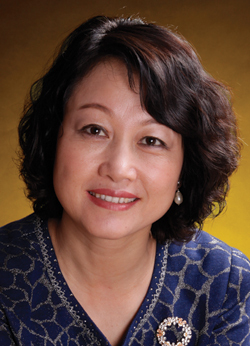 Through nine major panels, from a broad view of market demand, development status, policy orientation, application practice, and comprehensive solutions, CACW2019 will analyze the development direction of China’s pesticide industry under the new era of global agriculture, agrochemical industry, and new policies and portray in detail how to better realize the accurate use of pesticides and the intelligent development of agriculture and create a new engine for enterprise transformation and upgrading in the era of big data. Meanwhile, discussions and dialogue will be held on the hot topics and hot areas in the new situation, such as the development of bio-control technology and bio-pesticide, beyond agriculture pesticide market, seed treatment technology, international development of fertilizers and biostimulants, how to carry out compliance tests of agrochemical and choose professional consulting services, so as to create a new international and professional exchange stage for the global agrochemical industry. What differences can visitors expect to see this year compared with previous versions of the show? CAC2019 will reach a new height, reflecting the new pattern of industry development, showcasing more comprehensive varieties of exhibiting profiles, gathering the wisdom of global experts to create a grand banquet of agrochemical information, and widening international exchanges and cooperation through rich extension activities. This is the 20th year of the show. How will you mark the occasion? Will anything special be done? In 20 years CAC has gone forward in hand with companies to promote the export of pesticides to more than 180 countries and regions around the world. In 20 years CAC has been dedicated to building the global agrochemical exchange platform, with 1,400 exhibiting companies from more than 30 countries and regions and 38,000 visitors from 120 countries and regions. Standing at the turning point, we will make every effort to build a new communication platform for the industry. On the occasion of the 20th CAC, the anniversary theme conference and celebration banquet will be held to further enhance the global influence and realize the great development of CAC by reviewing the 20 years of the development process, promoting exchanges in the agrochemical industry and company development, setting up typical cases of the industry, highlighting the development status, and grasping the future trend of the agrochemical industry. The 20th anniversary theme conference will invite government officials, experts of scientific research institutions, leaders of associations, representatives from leading companies, and professional advisory bodies from global agrochemical industry to attend. During the theme conference, exhibition status, existing problems, opportunities and challenges, and future development trends will be analyzed and interpreted in depth. Extensive exchanges will be launched to create a new platform, planning the future development of global agrochemical industry. Why should industry veterans attend the show? After years of development, CAC has become the largest agrochemical exhibition. Integrating new product displays, technical exchanges, and trade talks, CAC serves as world’s largest one-stop platform for agrochemical trade, exchange and cooperation involved in pesticide and biological pesticide, fertilizer and new fertilizer, production, packaging and crop protection equipment, logistics, beyond agriculture, seed, laboratories, consultancy organizations and supportive services, agri-aviation and irrigation. It opens a window for Chinese agrochemical enterprises to march into the international market, and is the annual gathering for global agrochemical business performers, and where the agrochemical world meets. CAC has played an important role in promoting industry development and harvest and yield of world grain. For more information, visit cacshow.com.